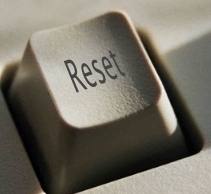 Do you need a reset button? This morning I woke up much later than usual, which threw my day off. Then Ray and I had some “intense domestic fellowship,” as our friends Don and Gala dub marriage conflicts, over something stupid (usually arguments between married couples are!). He exchanged His life for yours, His perfection for your sins, His healing for your sickness, His heavenly riches for your poverty of spirit (and finances), His eternal promises and hope for your discouraging trials and tests, His joy for your tears, His beauty for your ashes. If I had a reset button for my life, I’d do a lot of things differently. But all I have is the present-today. That’s all you have, too. And through Christ we can have a reset button right this moment. Remember, with God there is a reset button for today. Had a hard life? Going through trials and tests which seem overwhelming? I relate. 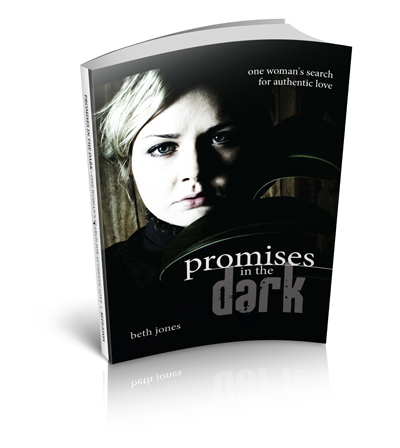 Read the story of my childhood sexual and physical abuse, 3 abortions, and adulterous affairs and the healing and hope I found through Jesus Christ in my book, Promises In The Dark: One Woman’s Search for Authentic Love, by clicking here. Available for sale at BethJones.net, Amazon for your Kindle, and Barnes & Noble for Your Nook.